Each year, the number of people who solely use smartphones to browse the internet and social media is increasing. If you employ the right mobile optimisation strategy, you can take advantage of this and dramatically increase traffic to your online shop. Obviously, if you own an online shop, one of the first things you should do is ensure that your website is optimised for mobiles. Not only will it improve the user experience, but it means that your shop will increase it’s traffic (and sales) dramatically. The amount of internet commerce conducted on smartphones is set to exceed that of desktops by 2020, so this is definitely something you want to take advantage of now. Should you not optimise your site for mobiles, anyone who does access it from a smartphone or tablet will not see the best angle of your online shop – it may seem messy, unprofessional and confusing. The IT professionals at Computer Geeks advise that “You should have a website or system that looks great, loads quickly, is easy to manage and engages with visitors.” So, here are some tips on how your online shop’s optimisation can be enhanced, as told by Emma Evans in collaboration with Computer Geeks. Mobile users care a lot more than desktop users about page speed and how fast the website will load. 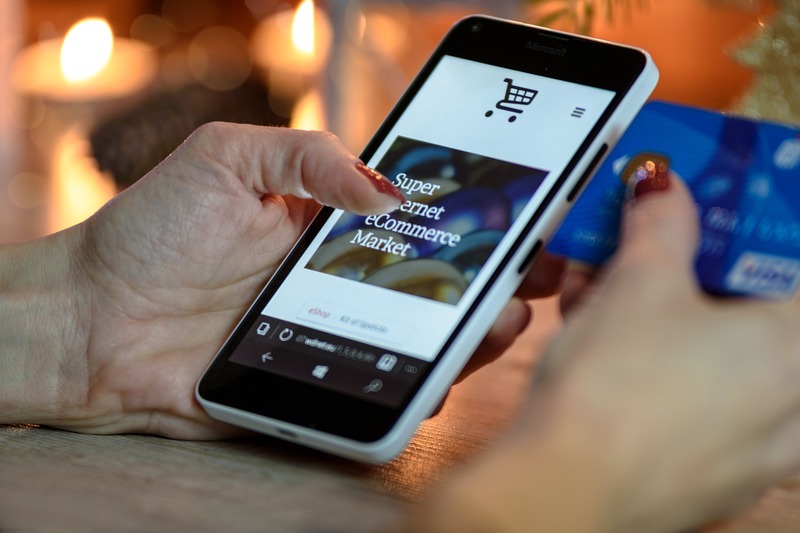 To optimise your online shop for mobile users, you can play around with the page and reduce things like the code and redirects to ensure a better mobile experience. Design your mobile-optimised website using the template from your desktop version. The branding, colours and layout should all be similar and should be instantly recognisable no matter what device the user is on. If you have a website which contains 20 different fields just to send an inquiry or 100 different boxes just to refine your online shop’s search results, you’ll leave the mobile user feeling dizzy. Try to simplify your website and layout as much as possible to ensure that the mobile user sees a clean, neat and professional view of your brand. As annoying as pop-ups are on a laptop or a computer, they are even more annoying on a mobile. If your site must rely on them to show discounts or offers, then go ahead, but try to keep them as minimal as possible. If you don’t, you risk frustrating the mobile user quite a lot. How you write your website title and description (the meta title and meta description) should be optimised for mobiles. For a mobile user, the important SEO keywords must be in the first 20-50 characters to ensure that those on smartphones and tablets see your online shop in their web results too. You know your business best and so you know what experience you want users to see in your online shop. Once you’ve built your online shop and the mobile optimised version, try it out for yourself to make sure it conveys the message and the image of your company well on mobiles and tablets. If you’re not a computer whizz you may not be aware that Apple doesn’t support Flash on any of its devices, so most iPhone users will completely miss any features on your online shop which involve Flash. More on the popularity of mobile and mobile marketing.